Brandon Bird's Brandon Bird-O-Rama! : Free (with purchase)! 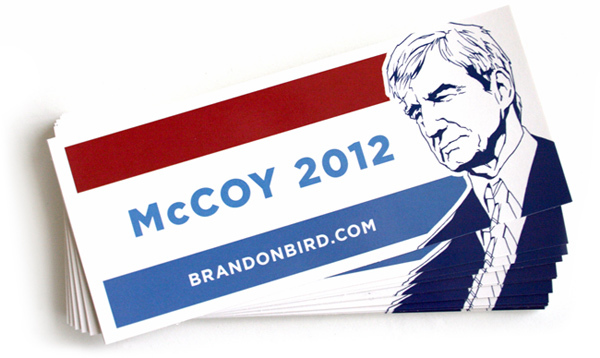 Order anything from the BrandonBird.com store between now and the November 6 election, and I’ll slip one of these 7” x 3” glossy campaign stickers in the package!